Family Resolve connects parents and partners with mediators using webcam-enabled online dispute resolution to bring mediation processes to separating families. We assist separating parents and couples to develop cooperative parenting solutions with Online Dispute Resolution and to resolve property matters without going to court. We support couples affected by separation and divorce to sort out family disputes in a cost-effective and timely manner online. Separation and divorce are stressful times for everyone, especially when children are involved; it puts an emotional strain on everyone. Online Mediation is a secure, convenient and confidential way for individuals to “meet” to resolve their separation, family and property disputes. At Family Resolve, experience has shown us that online communication using videoconferencing allows busy people, individuals who may be home-bound, those who live in different states or countries, or those who have difficulty confronting one another in-person, to finally have the opportunity to be heard and, with our help, resolve their differences. Our Online Dispute Resolution mediators work to suit the parties’ needs and schedules, including weekends and evenings if required for your convenience. Family Resolve doesn’t focus on the emotional side of relationships. It concentrates on resolving specific disputes. Our team of Mediators have a long history of settling disputes and a wealth of experience, drawn from the complexities of family law issues. When issues are tough to resolve it’s easy to come to loggerheads and feel that there are no solutions to the problems you both face. Family Resolve provides convenience, trust and support to separating couples during difficult times. Mediation is a quick and easy process that will make conflicts manageable and bring you to a workable plan for resolve. It is cost effective and efficient. Our mediators don’t take sides, we just help you come to a mutually beneficial agreement. Learn more about Mediation and why it’s so successful here. Enter a brief description of your dispute, who it's with, and your ideas for resolution. The responding party will be invited to participate. more..
Should both parties wish to proceed, we will appoint an Accredited Family Dispute Resolution Practitioner to manage your dispute resolution process. 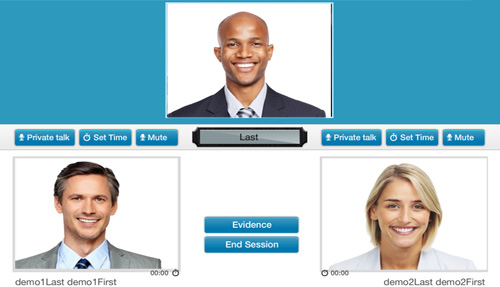 more..
Our online mediation room supports video and audio, as well as document sharing. more..
© 2019 Family Resolve All Rights Reserved.